Samsung Galaxy Note 9 has been the subject of many deals in the last couple of weeks, but few dropped below $700. The most recent deal that we talked about had the phablet on sale for just $730 after applying a $330 voucher offered by an eBay seller. Today, the same seller allows customers to buy the unlocked Samsung Galaxy Note 9 (128GB) for just $730 without having to apply any vouchers. However, eBay now offers everyone 10% discount vouchers when shopping for eligible items. The discount is available for 24 hours, so it's basically a flash deal that you don't want to miss. 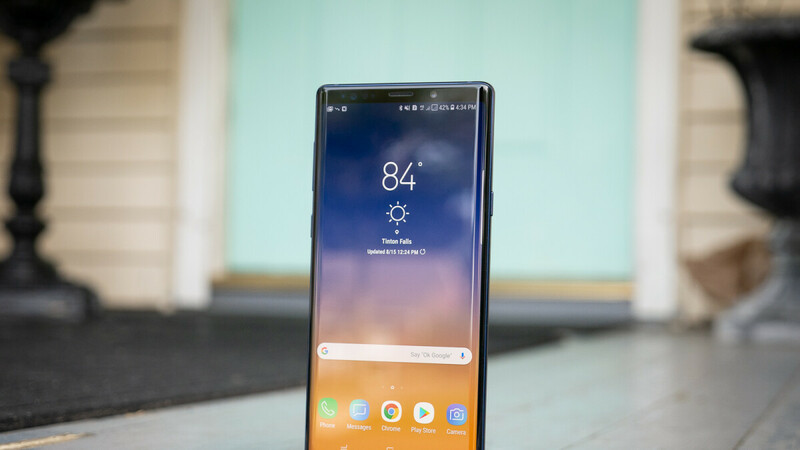 Applying the 10% off coupon at check out (PICKUPTEN) will bring the Samsung Galaxy Note 9's price to just $655, an amazing deal considering the phone is still selling for the full $1,000 price at many carriers and retailers in the United States. The only drawback is that that the international version of the Galaxy Note 9 won't work on Sprint and Verizon networks, but you should have no issues with AT&T and T-Mobile. Free shipping is included as well, so that makes it even more appealing. How I wish I can get the latest XS for this price 2 months after launch. You bet! 2 years before the price becomes $700. This is an indication that phone is not selling well and third party resellers need to fly the stocks off the shelves. Many Samsung fans who gets the Note from its release will be pissed off. Many Samsung fans are happy to pay less, many iPhone fans are pissed off for never getting good discounts the first year. Not only no discounts, cheap headphones, no fast charger, no Jack, lower resolutions, barely in the top 5 performing camera, no great multitasking features and so many other things it dont have or limited from doing. Then why do many people prefer iphones than your beloved android huh! Am I (Just me) jealous for not getting a discount? Yes but.... I am happy that my old iPhone has amazing resale value :). You win some and you lose some. Yeah, but we’re happy with the features and versatility. Why would we? We already know stuff cost more when it first comes out and gets lower in price later. The thing us dude, us I got a better deal. I jumped on VZWs BOGO and got the 512GB for the $1250, and I got 128GB for my mate and its free. Split my cost in half and I already paid less for 2 phones qgetvrhey are offering doe one. And my phone unlocked works on all 4 major carriers vs this one that only works on GSM. Also I dont want the Exynos variant. I'm good with the Sd for better graphics. This may be a good deal for someone here in ATT and TMO. But what you fail to understand is that in the US, most people dont pay upfront. They post pay. Do actually this is a better deal for someone who may have family outside the US. Would still wait a few more months for qualcomm's first 7nm CPU. Samsung is probably alienating some potential buyers, by jacking up the price. Neither the S or the Note has significant enough changes to cost $300 more than I paid for the Note 7. If VZW didn't offer a BOGO, I wouldn't have bought the Note 9. It's not going to be a big seller to begin with, due to its unique nature as being a device for a small group of people. The group was once 30M strong. It's now half that big. The problem wasn't the Note 7 when you consider over 90% of those owners still bought a Samsung device. The price of the S and Note, along with the iPhone, have gone up over 40% in a short time for no valid reason At most the 512GB Note 9 is worth to me about $900. The S isnt worth more than $750 for the plus model. Yes they are faster, yes they are improved. But they aren't doing much we weren't doing already and the few changes arent $300 worth of changes. And I'm saying this about Samsung. For the ifans who can't criticize Apple, but always jump on Samsung. See I'm criticizing them too. I believe the Note 8 and 9 offer $1000 in value, but I think it should be sold for less and it could be. Samsung Electronics makes most of its money on components sales. Which is why it makes their stuff cheaper than it would be for the quality being offered. It costs them $5 to make internal storage, no matter what its capacity is. So they don't have to charge $500 for 512GB. But what goes for Smasung goes triple for Apple who does far less than Samsung. Samsung needs to go back to when they made the Note the first time. And I think they are trying it with folding phones and tabkets. They could actually start the next big thing. Because everyone criticized the Note and its drill a top selling device. Considering what it costs. Because there isnt a fanboy on this site to has sold 20M of anything at this price range. So you dont really get to criticize something you will never experience. The only single phone that outsells the Note outside if the S, is the iPhone. But that's not really saying much. Samsung needs to bring a bit more at this price range. Once the put the onscreen FPS, the price is gonna go up again.